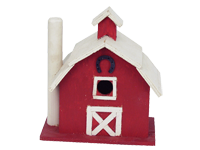 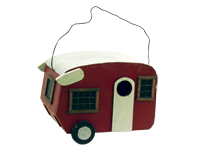 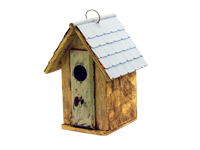 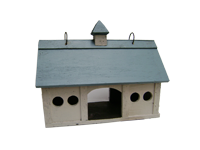 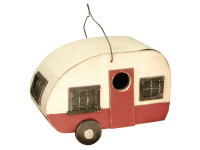 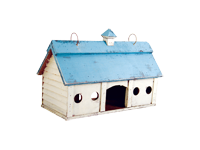 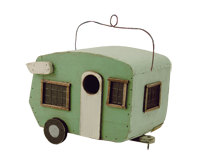 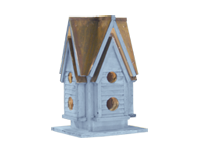 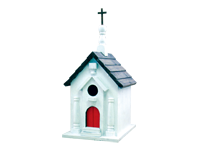 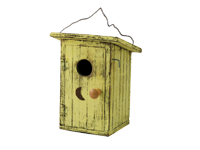 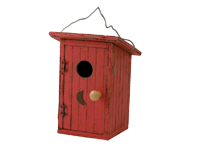 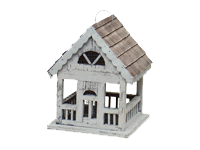 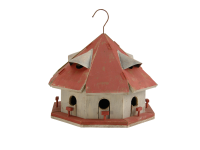 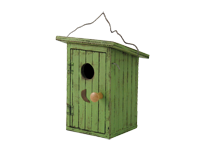 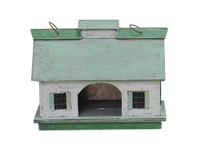 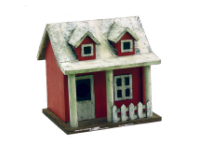 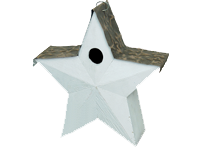 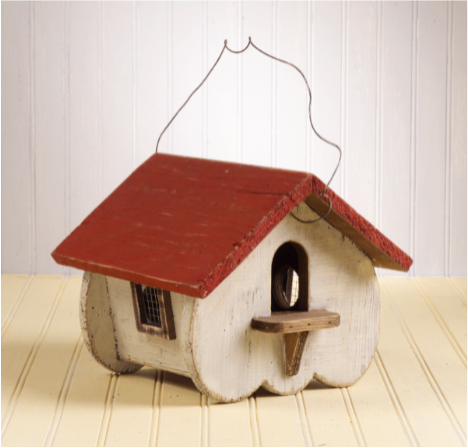 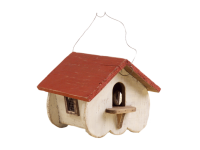 This birdhouse is a reproduction of a classic Canadian birdhouse. 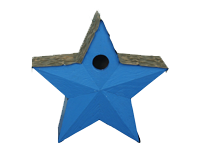 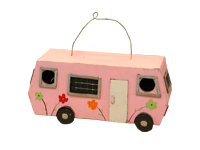 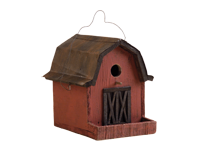 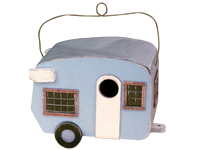 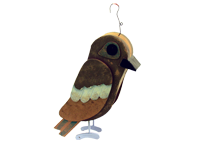 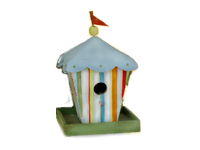 Made from wood with a wire hanger, this colorful birdhouse has vents to keep your birdie friend cool in the summer. 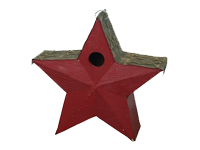 Its colorful red roof looks great in a lush green garden or backyard.